An interactive viewer for world views free of weather. City lights are visible in portions of the earth that are in night. Info. Get current solar system and space weather reports. 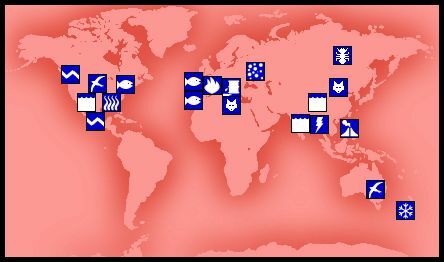 The popular Earth Alert weekly report that details current world natural events and situations. An interactive map of recent earthquakes occurring in the world. Revised: 29 Nov 2002 19:53:10 -0800.